The North Carolina Estuarium is one of the highlights of Little Washington's downtown scene, and for good reason. 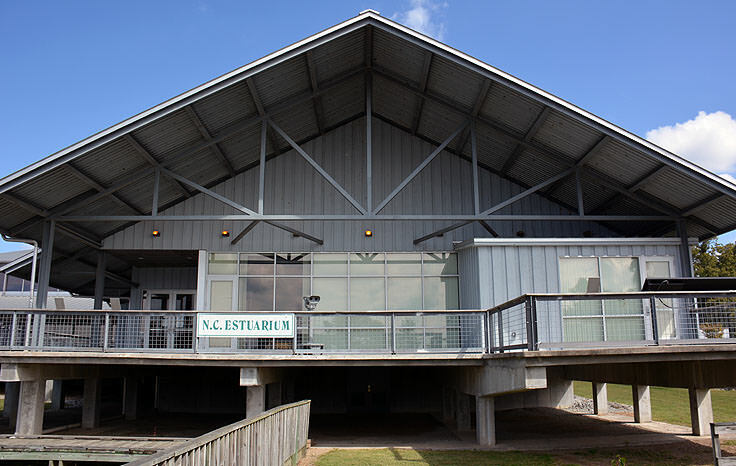 The 12,500 square foot structure, which has served as an educational center since it was first managed by the Partnership for the Sounds in 1998, operates as a variety of purposes for Eastern North Carolina locals and visitors. Part aquarium, part museum, and part classroom for students of all ages, the modern building perched along Washington's waterfront on the very edge of its active downtown, is a scenic must-see attraction for any visitor passing through. The Estuarium's main purpose is to bring attention to the Inner Banks' innumerable estuary systems, which are vital components of the Eastern North Carolina ecosystem, and comprise of thousands of miles of rivers, sounds, and canals where fresh and saltwater mix together. Over 90% of North Carolina's seafood is caught within these waters, including blue crabs, flounder, and shrimp, and the state of North Carolina claims more estuarine waters that any other state on the East Coast. The center celebrates this fact, as well as calls attention to the vital importance of keeping these waters clean and thriving, so that thousands of local species can continue to flourish. The spacious lobby of the North Carolina Estuarium is the gateway to over 200 exhibits scattered throughout the center, which provide a thorough overview of the components that make up an estuary ecosystem. Within the sprawling building, visitors will find historic artifacts and ancient boats, unique environmental art displays, a number of audio-visual presentations, and plenty of living aquariums for an up-close look at the critters who call North Carolina's estuaries home.In fact, the North Carolina Estuarium is the only acting aquarium in North Carolina that focuses solely on estuary species. Children will be easily entertained at the Estuarium, as a number of interactive exhibits are available, designed to keep little hands busy. Kids can conduct experiments and learn about local species and climate in a waterfront classroom that's monitored by attentive staff, or can hear, see and touch a number of exhibits that are drawn right from the Pamlico River's edge. Perhaps the most popular attraction of the Estuarium, however, is Little Washington's Pamlico/Tar River estuary itself, which is the second largest in the country, and which can be enjoyed in-depth by stepping out the Estuarium's doors. Outside, just past the wraparound covered porch, a long wooden boardwalk hovers over the Pamlico River, allowing visitors an opportunity to stroll right over the water itself, and peer down to see the critters hard at work below. 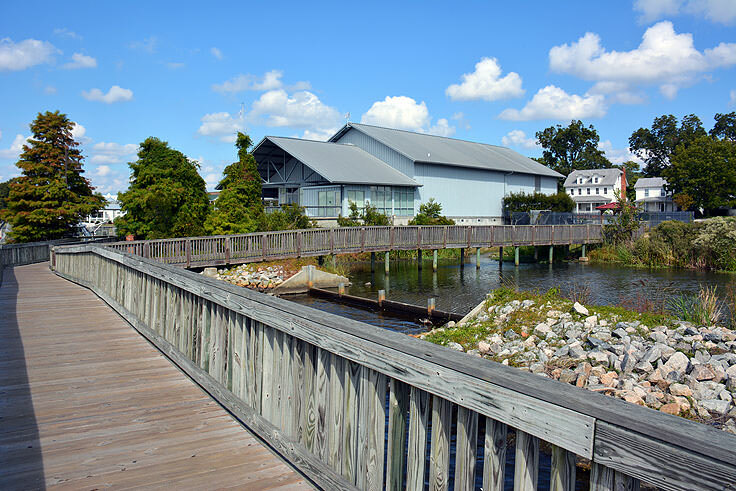 Frequent guest appearances are made by local box turtles, fiddler crabs, blue crabs, schools of small minnows, and even bass and flounder, and guests can simply pick a spot along the wide boardwalk, look down into the water, and enjoy all the action. Visitors who really want to get their toes wet can also embark on a pontoon ride, which departs regularly throughout the day, and is complimentary with the cost of admission. 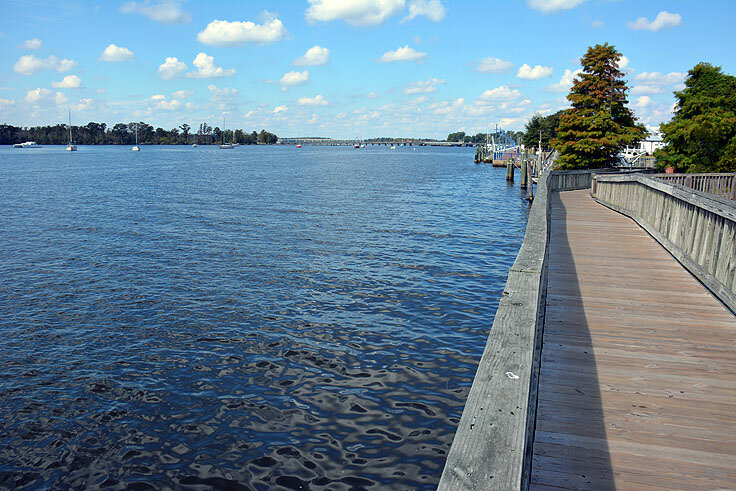 These guided tours allow patrons to enjoy the sights and sounds of the estuary in person, while enjoying some unparalleled views of Little Washington's waterfront. The North Carolina Estuarium also has an extensive gift shop, known as the "Crab Pot Gift Shop," where visitors will find hundreds of goodies, all related to Washington's waterfront. From crab crackers to local works of art, admittance to the gift shop is free to all Estuarium patrons, and is a perfect shop to swing by and pick up a few unique and treasured Washington souvenirs. Special events are held regularly at the North Carolina Estuarium, including educational programs and seminars, craft classes, and fun activities designed just for kids. Ideal for field trips, teachers can also contact the Estuarium at 252-94-.0000 to arrange special group visits that will enthrall as well as educate students. The North Carolina Estuarium is open Tuesday through Saturday, from 10:00 a.m. until 4:00 p.m. Admission is nominal for this expansive museum / aquarium / educational center, and runs about $4 for adults, and $2 for kids 5-12. (Children 5 and under are free.) 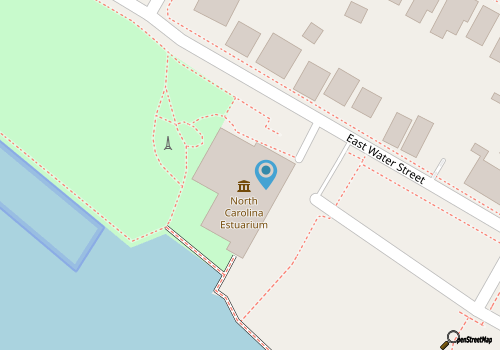 The Estuarium is open year round, and is easy to find along Washington's waterfront, as the expansive Water Street structure is located at the very edge of the dozens of riverfront docks and piers, and is adjacent to the busy downtown shops and restaurants. A stop by the North Carolina Estuarium is virtually a must for any Washington visitor who appreciates the scenery, the history, and the maritime culture that defines this small Inner Banks community. 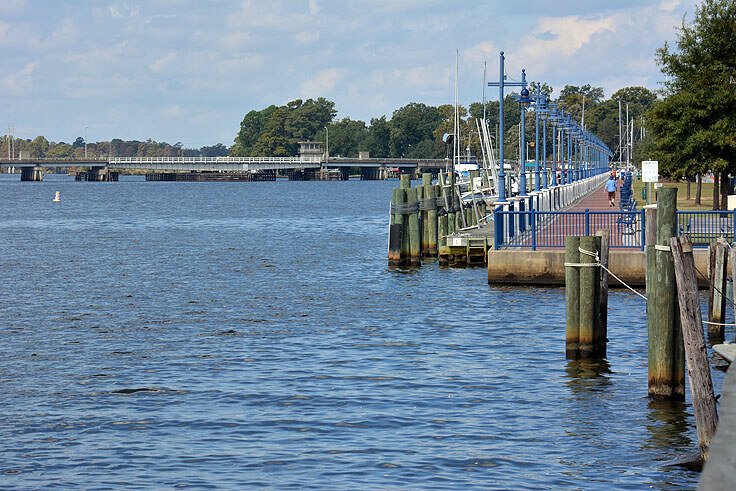 Educational and entertaining, a visit to the sprawling center, complete with a stroll down the boardwalk and a free pontoon ride along the Pamlico River, is easily a highlight of any Little Washington vacation. Best of all, with its central location, visitors can spend a full morning or afternoon exploring the Estuarium and then embarking on a shopping and dining adventure at the neighboring downtown's many shops and restaurants. This full-day excursion will allow visitors to enjoy a complete and comprehensive taste of the good, salty life in the coastal town of Washington.